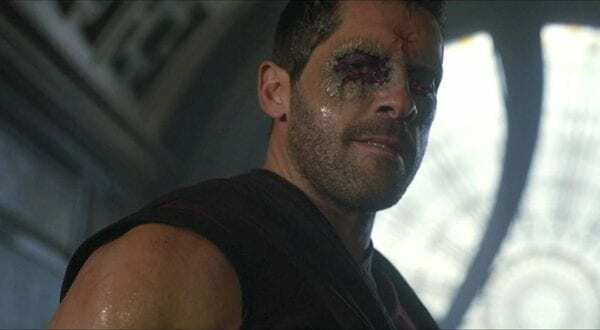 As widely reported there was recently a leak for an audition video British martial arts action star Scott Adkins made prior to Batfleck’s casting in Batman v Superman: Dawn of Justice. Adkins addressed the issue himself. With Affleck now out the picture and all manner of casting rumour and suggestion being flung all over the webnet, I’d like to put my backing behind Mr Adkins. To many, his name might be met with a head scratch. A cursory CV glance and people may half recognise him from some of the smaller roles in the bigger gigs he’s been in, like Doctor Strange. To the action aficionado like myself, Adkins has been on my radar for about 15 years. He’s slowly risen from being a background stunt performer (battling the likes of Jet Li, briefly…very briefly…) to establishing himself as one of the few post-2000 straight-to-video stars to have a significant impact in the wake of declining budgets and the slow death of physical media. In the 80’s and 90’s there were swathes of action men coming out in the wake of Sylvester Stallone, Arnold Schwarzenegger and Jean-Claude Van Damme. Some had short lived cinema love affairs, before establishing themselves as video stalwarts. Others just launched headlong into video land and maintained lengthy careers. The point is, many of these guys survive off the fandom of yesteryear, even to the point of still punching faces in their twilight years. A whole host of action titans are well into their 50’s now, some 60’s, and guys like Arnold and Sly are firmly in their 70’s. In the last decade as streaming rises there has been a significant decline in straight-to-video action cinema. This has several reasons but not limited to declining budgets and the reason for that decline also expands to audience tastes, to the comparatively low buyouts from streaming distribution compared to the old days of physical media (and in turn DVD distributors can’t pay the kind of outlays they used to, meaning the productions in turn can’t afford to spend too much on a film). Likewise, with everything now becoming a digital entity, piracy has risen to a point of epidemic. It cannot be effectively policed, because the numbers of people illegally downloading are gargantuan. This negatively effects the budgets. In fact Adkins has made a point of politely asking people to support the films he makes (which those fans demand) because sequels like Undisputed 4 (known by several names including Boyka: Undisputed) almost never happened because of piracy significantly damaging the profits of previous films. Additionally, there’s a trend following from the big screen to small. Now concept and franchise is king over the star. Name a star who could sell just about anything on the big screen. Hollywood was perennially star-powered, but increasingly actors are becoming dispensable in comparison to the franchise. People see Spider-Man to see Spider-Man. One of the few superstars capable of still making huge numbers primarily from his name is Dwayne Johnson. But take Keanu Reeves. As John Wick, a character and franchise which has piqued plenty of interest, he’s bankable, but it’s John Wick selling the tickets. In anything else, Reeves is tending to head straight-to-video. This has kind of filtered down. Studios that used to spend $10 million on a straight to video film don’t tend to anymore. Further, the likes of Arnold etc are finding themselves in progressively cheaper films, in smaller roles. Yes, they can be used to sell the film, front and centre on a poster but there’s not the need to have them lead a whole shoot (and thus pay them full whack). Further to this, a trend in the video premiere’s last year, and best sellers, seemed to suggest that the ‘star’ vehicles were declining in popularity with concepts taking precedent (Rex a war-dog film being particularly popular, as were LEGO spinoffs etc). Still, Adkins has, despite battling all of this, kept up a decent standard of action flicks. Compared to many of his contemporaries, he’s had the benefit of better budgets. They may not be quite as much as he, or regular directors Jesse Johnson and Isaac Florentine may like, but he’s kind of the one who’s still clasping onto the rope of a balloon that is escaping. You never get less than 100% from Adkins. He’s a physical dynamo too, capable of eye-blistering feats of agility (even into his 40’s). As an actor too, he’s capable. The problem is, most of his best work will come in films most people won’t see. If you dismiss him as a kickboxer incapable of complexity, then you should watch Universal Soldier: Day of Reckoning. A third sequel to a daft (but fun) original that is so far removed from its source material that is actually remains one of the most daring films made in recent years, for sheer unabashed, near pig headed auterism (from writer/director John Hyams). It’s dark, complex and disturbing and Adkins performs the role very well. So he can do dark if required. If they want to lighten things a bit (I guess to stay in line with this new adherence to copying Marvels formula), he can do wisecracking and deadpan well (see Accident Man). If you go for a very dark, gritty and disturbed Batman, no one is going to match Christian Bale and/or Christopher Nolan. They’ve tried to replicate that and failed. You always need an inherent darkness about Batman, but they could take things in a different direction. Make Batman’s physicality stand out more. Forget persistently armouring and mechanising his suits. He’s not Iron Man. Get a suit that the actor (as per my vote, Adkins) can actually turn his head in (it’s a comic book film and if John Wick can have a bullet proof lounge suit, I’m sure Batsy can get some flexi-material in his suit). Give Batman a touch of the ninja. Allow him some movement, and then you can unleash the abilities Adkins has. Get some genuinely good action design with the hand to hand, and not become reliant on your editor (Nolan). Make Batman impressive and offer some variation to what Nolan and Zack Snyder had in the action. Yeah, by all means give him a few gadgets here and there and the vehicles etc, but when it comes down to the nitty gritty, would it be so wrong to see Batman perform a backward somersault kick (which the actor in the suit is actually performing)? There’s no doubting Adkins’ physical prowess for a big action role like this. Dramatically? He could offer more to the role than Ben Affleck did (in respect to Affleck, he was hampered by script and direction first time out, and a lack of enthusiasm beyond that). As for Adkins not being potentially a big enough name? I don’t think that should matter. As I say, people watch Batman to see Batman. 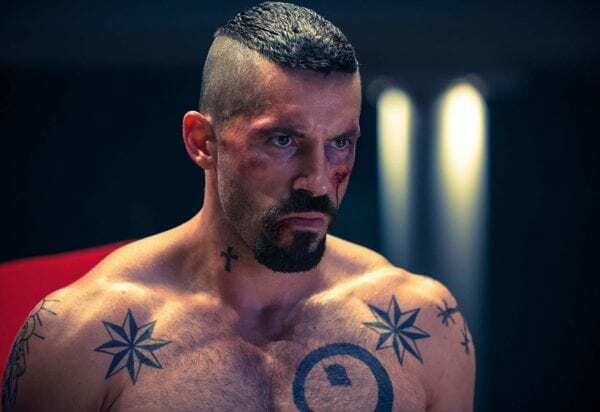 If there’s not an A-list superstar in the role, people will still watch the film, and Adkins has the ability to make the role his own and offer something different (he would also gel well with the director in place, Matt Reeves). Jason Mamoa’s background came largely from TV and B-movies before landing his Aquaman role. 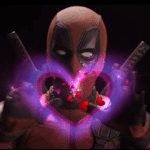 It didn’t hold the recent standalone film back from grossing well over a billion dollars. Actually having an actor many may not know could work to the films benefit. Some actors come with too much baggage. They also took the gamble on an unknown Henry Cavill for Superman (and again, hampered him with an overly morose version of Supes) so it’s not out of the realms of possibility. Many of the current Marvel team weren’t huge pre-established stars by any stretch of the imagination. Recognisable yes, but in almost every case for other things. 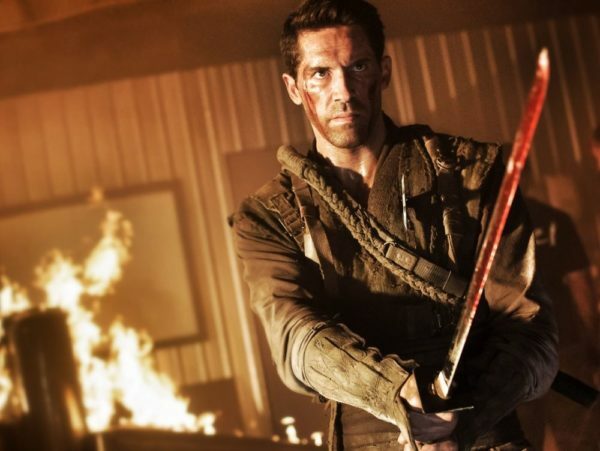 So that ladies and gentleman is why my vote for the new Batman goes to Scott Adkins. Go for someone off radar and take it from someone who’s well versed in his work, the man can definitely pull it off (probably with some gravity defying quadruple spinning bird kick or something).